Queensland emergency clinicians are raising awareness of a new EMF-funded study to develop a rapid diagnosis for sepsis (also known as septicaemia or blood positioning) in children. EMF awarded a $100,000 grant to fund the state-wide study of acutely ill children presenting with suspected sepsis to Emergency Departments and Paediatric Intensive Care Units (PICU). The research team, led clinicians at the Lady Cilento Children’s Hospital and The University of Queensland, is investigating the potential of gene-expression-based sepsis tests. The aim of the research is to provide more accurate diagnosis of sepsis in children, quicker test results and deliver improved treatment. Gold Coast University Hospital Emergency Department is one of the several Queensland sites taking part in the study . Shane George, a Staff Specialist – Emergency Medicine and Paediatric Care at the Gold Coast University Hospital, says initial results show that gene-expression tests can give faster and more accurate diagnosis of infection compared to conventional testing, improving the chances of saving children’s lives. “Every hour delay that occurs in administering antibiotics leads to a 6 per cent rise in mortality in children with infection. This means the most promising approach to improving health outcomes for children with sepsis infection relies on a rapid diagnosis. Sepsis, once detected, is easily treated. But sepsis seems to disguise itself as other illnesses, delaying diagnosis,” Dr George said. Across Australia and New Zealand, more than 500 children are put on life support due to this infection every year. Despite optimal care, 50 children die from sepsis every year. These are children who could be saved with improved diagnostic tests and treatment options. The World Health Organisation has recognised the urgent need for diagnosis and treatment for children with sepsis. When 18-month-old Gold Coaster Lily became ill, it was initially hard for doctors to identify the cause. Lily’s mum Anita took Lily to the doctor twice and it was on her second hospital visit that it could be diagnosed. Sepsis often has symptoms similar to viruses that are common among children. Mother Anita is relieved she listened to her “gut feeling” that something was not right and continued to query her Lily’s illness. “It all started with flu-like systems. I knew she wasn’t well but she didn’t have the words to tell me what was wrong,” Anita said. Dr Christa Bell at the University Hospital was the clinician who diagnosed Lily’s sepsis before it led to organ failure, or even death. “Frighteningly, the infection had travelled into her bloodstream and attached to her tiny heart. Her condition was so serious that she was given a 2 per cent chance of survival and had to undergo open heart surgery to remove the infection,” Dr Bell said. 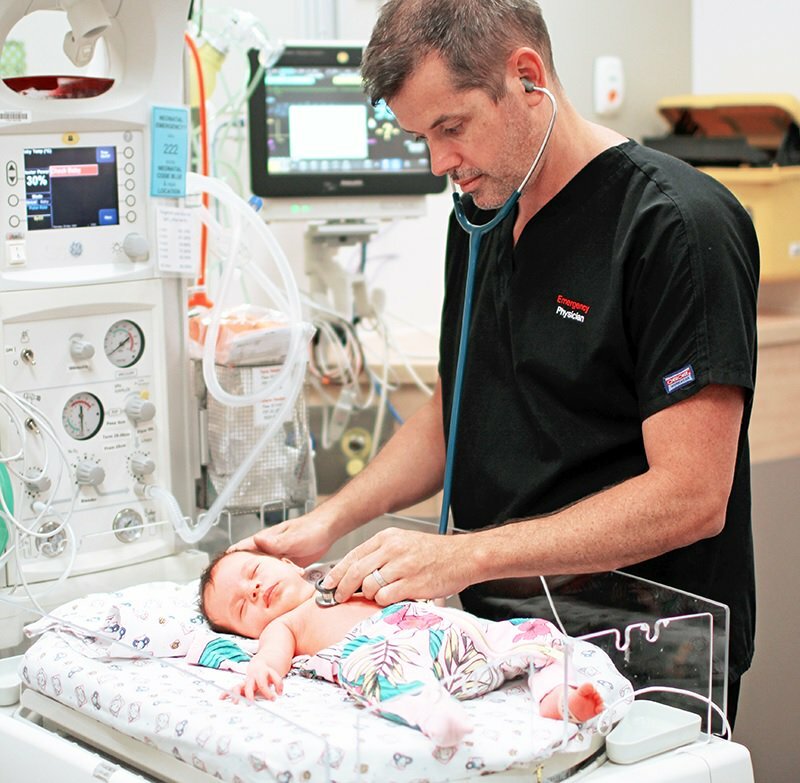 The Gold Coast Hospital Foundation has committed $100,000 towards the Gold Coast University Hospital Emergency Department taking part in the study to develop a new sepsis diagnostic for children and is appealing for the community to help raise the funds.